Your day-by-day itinerary now includes The Neck as well as Port Arthur Historic Site. 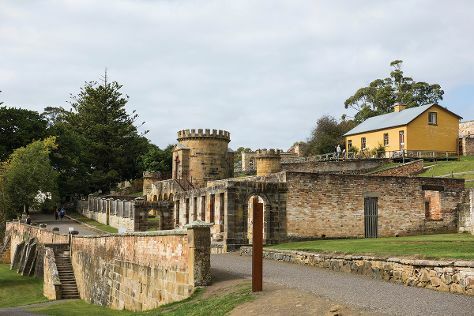 Start off your visit on the 4th (Thu): get to know the fascinating history of Port Arthur Historic Site, take in the pleasant sights at Battery Point Sculpture Trail, and then take in the awesome beauty at Mount Wellington. Get ready for a full day of sightseeing on the 5th (Fri): don't miss a visit to The Neck. To find more things to do, reviews, traveler tips, and tourist information, refer to the Hobart vacation maker . Melbourne to Hobart is an approximately 4-hour flight. You can also do a combination of ferry and car; or do a combination of ferry and bus. April in Hobart sees daily highs of 21°C and lows of 9°C at night. On the 6th (Sat), you'll have the morning to explore before heading back home.